On September 5, 1992, Fox aired the first episode of Batman: The Animated Series, "The Cat and the Claw." An animated series that is so entertaining, so well written and produced, with such an attention to its own previous continuity, needs a Web site that maps all of those points of continuity and character development. 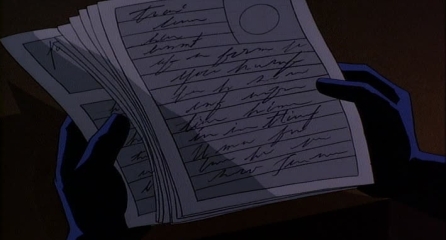 DCAU Resource was born. Actually, it wasn't DCAU Resource back then. The site was launched as Justice League Resource, dedicated to the recent Justice League series, and included a complete episode guide and character profiles. Some time later, the site expanded just so little to cover the re-branded Justice League Unlimited series. People come and go in life, doors open with new chances to explore and in May 2006 the Justice League-centric site was relaunched with a new name and a new home: dcauresource.com. In the years since, new content for the site was added, a revamped episode guide and character biographies, we have expanded to news, a timeline and expanded to cover previous series. And we've got some great plans for the future! The site remains independently owned and operated due in part to a true admiration for the accomplishments of one series that grew into many. In the first half of 2007, Batman: The Animated Series and Superman: The Animated Series was added to the present Justice League and Justice League Unlimited series. Soon after, Batman Beyond joined in the fan-coined Timmverse, named after producer Bruce Timm. We at DCAU Resource believe that the DC Animated Universe has grown into a great, enduring modern animated franchise, and this site is our way of supporting it and enjoying it even more. As the DCAU continues to grow into new series and new continuities, DCAU Resource will be along for the ride as your complete guide to DCAU!